Mikael Forsman (b. Göteborg, 1968) composer and guitar-soloist in several jazz-constellations - one of the founders of "Cue Act", "Chimär”and the chamber ensemble "Ensemblen Innan hav". His music is often concise/precise in expression. Different aspects and ideas in the music are presented in the titles also in a poetical sense. The violin solo Variations for a while , dedicated the violinist Joar Skorpen, is a variation, but how long? Are there many themes? Is there a theme? The orchestral piece A symphony o, written for Stavanger Symfoniorkester and the conductor Zsolt Nagy, was first performed in NRK P2 2002. In the title ”A symphony o”, the letters A…o (the greek letters Alpha…omicron) change the beginning-end sentence "A-O"; From the beginning to somewhere in the middle. 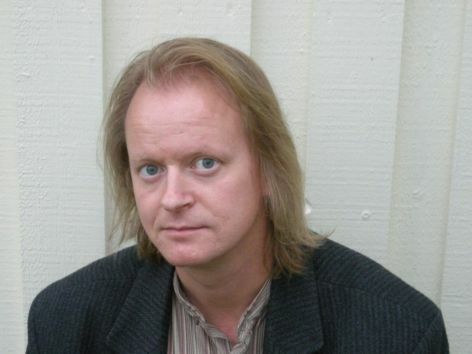 Forsman often sets his own poems to music:Tre Ordfamningar, for soprano and percussion, was performed 2003 and written for Duo Ego and ”Oöverskådaren” (2005) for mezzosoprano, narrator, flute, and violoncell was first performed by Ensemblen Innan hav in 2007.